An employee engagement survey is only as good as the action that follows. 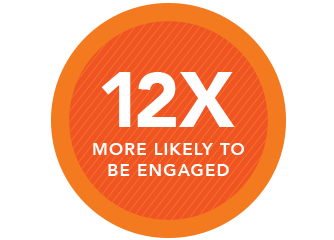 Our clients’ experiences show that employees who see action following a survey are 12 times more likely to be engaged the following year than those who don’t see follow-up. But, how do you develop a plan for workplace engagement? 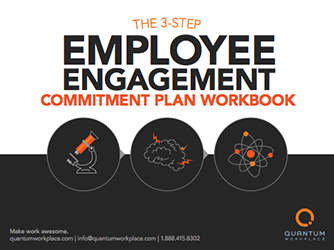 This ebook breaks down the engagement strategy creation process into three easy steps and includes seven free templates to help you focus and commit to improving employee engagement in your organization.